Honey Mushroom (Armillaria mellea) produces a number of unique compounds, including several antibiotics and indole compounds, with high levels secreted into the culture medium during liquid fermentation. 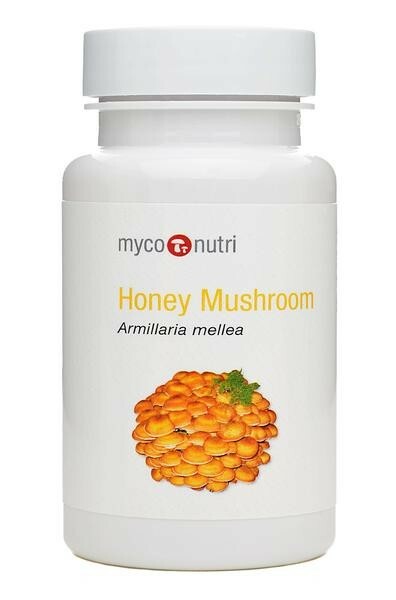 In order to benefit from the full-spectrum of this mushrooms' activity MycoNutri Honey Mushroom therefore combines A. mellea mycelial extract with A. mellea culture-medium extract. Standardized to 30% polysaccharides.